Sour cream is something you slap on a baked potato. 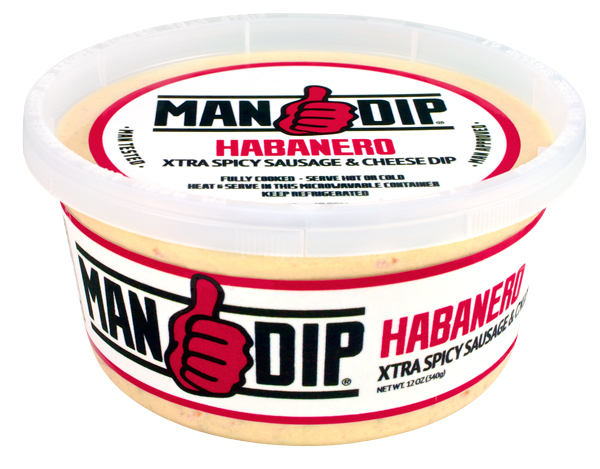 It is NOT a dip – not for real men. So drop that pansy milk-covered chip, put away that pinky and crack open a tub of 100% man-tested, chest hair-raising goodness. 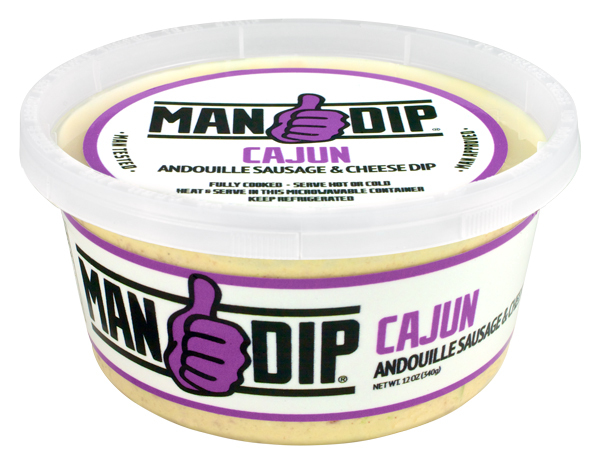 Man Dip uses real cream cheese to create dips that are rich and savory with just the right amount of kick. Scoop it up on your favorite chips or vegetables (yeah, we said vegetables – what of it?). Or, if you really want to impress the crowd around the table, dip your favorite meat and cheese into this meaty, cheesy goodness. And now, with six varieties, there’s a dip for every meal of the day. That’s right – that’s MAN math. 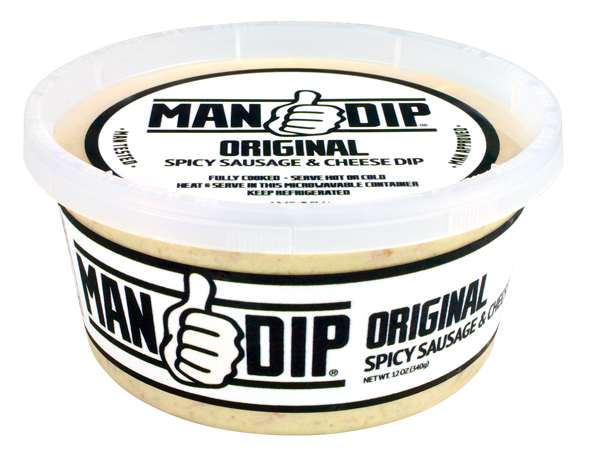 Chunks of tongue-tingling sausage and peppers blended with real cream cheese in a dip that will make your eyeballs sweat. Chunks of tongue-tingling sausage and peppers blended with real cream cheese with an extra kick that’ll have you screaming for your mama. 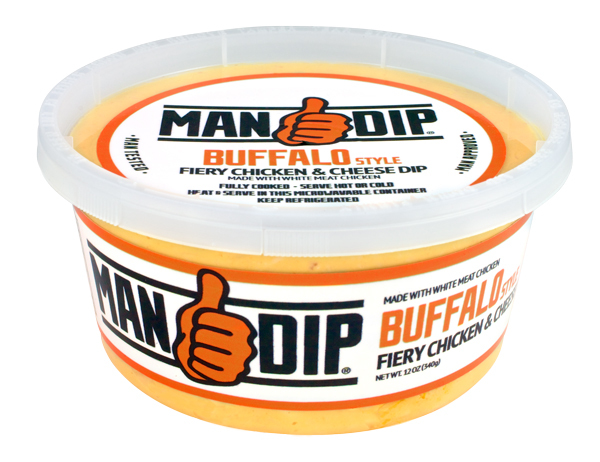 Shredded white meat chicken blended with our spicy Buffalo sauce and real cream cheese. It's like a wing on a chip with no messy bones. That’s man-style ingenuity right there. curling punch to the gut. You know you want it. 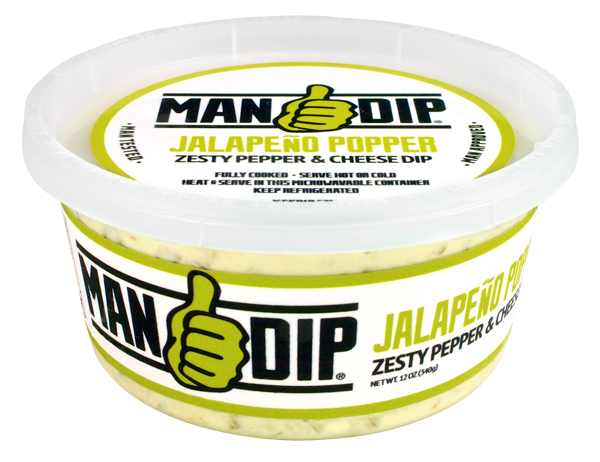 Chunks of spicy andouille sausage blended with fresh peppers and real cream cheese. The only beads you’ll earn will be the sweat on your toenails. 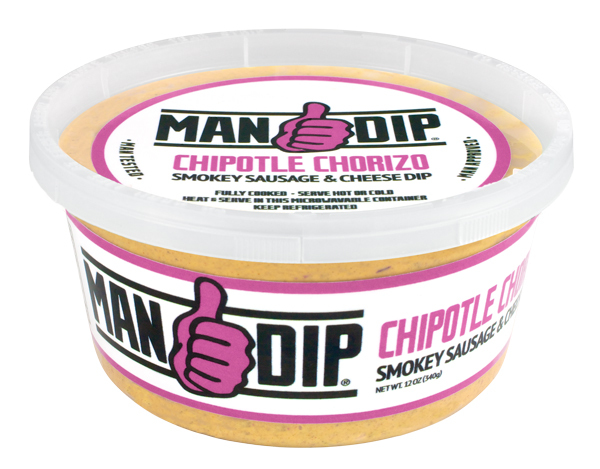 Chunks of spicy chorizo sausage blended with chipotle peppers and spices for a smokey dip that’ll have you running south of the border.